Sending out query letters can be a daunting task for both new and seasoned writers. Whether you’re a blogger, author, journalist, or some combination of the three, you probably won’t escape the task of writing some kind of query or “pitch” letter during your career. To be clear, this advice can apply to authors who are pitching to literary agents, bloggers who are pitching a guest post idea, or journalists who are pitching a magazine piece. The format of your pitch will vary depending on this, but the general guidelines of professionalism remain the same. First thing’s first: you need to get an idea of how it’s done. Without viewing some sample letters (preferably successful ones), you’ll feel lost about where to begin. So if you have any friends in the field, ask them if they have any old query letters that they’d be willing to send you. This person should be at least a little more experienced than you – otherwise you won’t know if it’s truly a quality letter or not. If you don’t know anyone personally who has written letters, you can rely on your old pal, the Internet. Simply search “query letter” to find how-to guides, successful letters, and advice depending on who your recipient will be. Queries to magazines and literary agents typically range from 200 to 400 words. However, a writer pitching a guest post via email may want to keep it shorter. Once you find some relevant samples, note the tone, the salutation, the level of detail, etc. These will help you gauge your letter. Is the tone too formal? too casual? Is the salutation appropriate for the recipient? Do you go into too much detail about a minor point, or too little detail about the entire piece? Just as you should observe the pros, see if you can find one to look over your letter before it’s sent. All the greats in any field will tell you, “stop asking for permission.” Take the initiative to do great things instead, and others will naturally support you. This idea also applies to the way you phrase a pitch letter. You can do one of two things through the tone of your letter: Ask the recipient if you’re worthy, or tell the recipient why you’re worthy. if you’re writing directly to an editor, for example, put yourself in the editor’s shoes. If you were to read a query from someone who was tentatively suggesting a piece, you might wonder why they were so wishy-washy about it. Were they uncertain? Inexperienced? Disinterested? It’s hard to tell, and from an editor’s standpoint, it’s not worth the risk to find out. To determine whether your letter is written with confidence or timidity, read over it and look for sentences and phrases that remind you of a job application. For example, saying something like, “I think my experiences qualify me to write this piece,” shows that you are applying, or trying to convince the reader that you are good enough to write for them. Instead, mention your relevant experience, and present yourself as an asset to the reader. In a query letter for a book, this will likely apply to your ‘bio’ section. For those pitching a story or article, it may be a few brief sentences in your email. Either way, be sure that you state your accomplishments proudly, without trying too hard to convince them. Basically, this isn’t the time to play it super safe. Don’t be overly modest or vague. 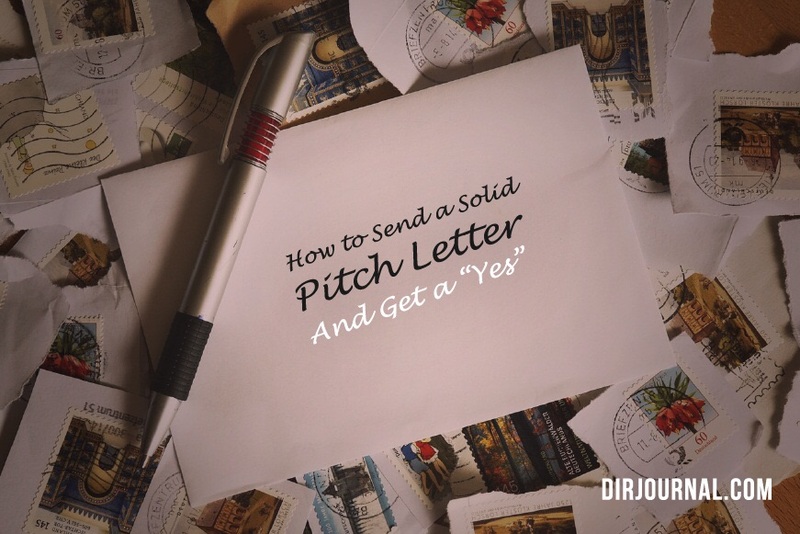 Even though writing a pitch letter can make you feel nervous and uncertain, those feeling shouldn’t show through in your writing. Know the value of your piece and claim it.